How many recruiters do you think are currently using LinkedIn for recruitment? 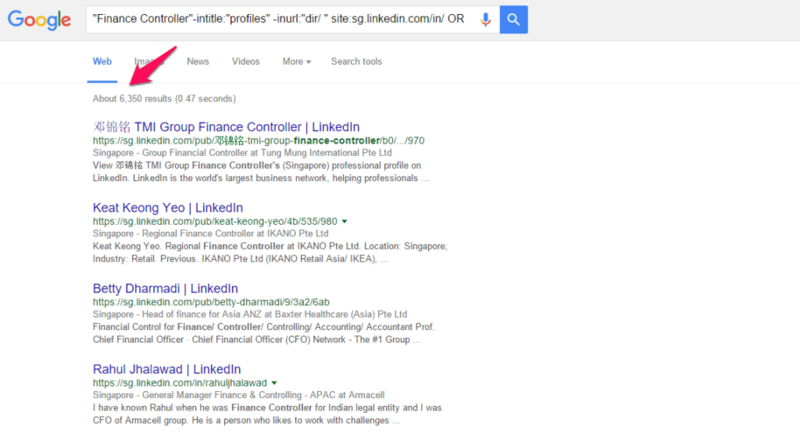 I just did a search for recruiters on LinkedIn and a filter to the ones that are based in Singapore reveals 7,636 results. I’m pretty sure there are way more since I’m not using any premium account. With 1.5 million local users and growing, LinkedIn has become the first place to start when you get a new hiring mandate. It is easy to use and the long list would very likely be more current and better than anywhere else you can source from. It is all good for recruiters. But is it so for job seekers? Having stepped away from active recruitment, I have been getting many InMails and connections. On a typical day, I would receive around 8 – 15 invites and Inmails per day. Although I am active on LinkedIn, clearing a dozen of invites and Inmails daily would easily spiral into an annoyance. Imagine how it would be for a typical LinkedIn users? My wife is one of them. Her time spent on LinkedIn in a year is equivalent to what I spend in a week. Clearing notification is the last thing such users wish to get into. To make matters worse, the popularity of the medium also led to many not so professional usage. I have witnessed Nigerian scams from supposed bankers and I even heard of people trying to use it to get dates. I don’t know about you, but that is not why I signed up for LinkedIn. It is a major problem and I’m sure LinkedIn knows about it too. But given the scale they are right now, it is almost impossible to manage them by the best algorithm. Regardless, LinkedIn remains the best database for hiring. But in consideration of the sheer amount of noise, you need to know how to work around such these problems. And the approach has to be significantly different from the InMail/Invite that you could fire away with a click of the mouse. 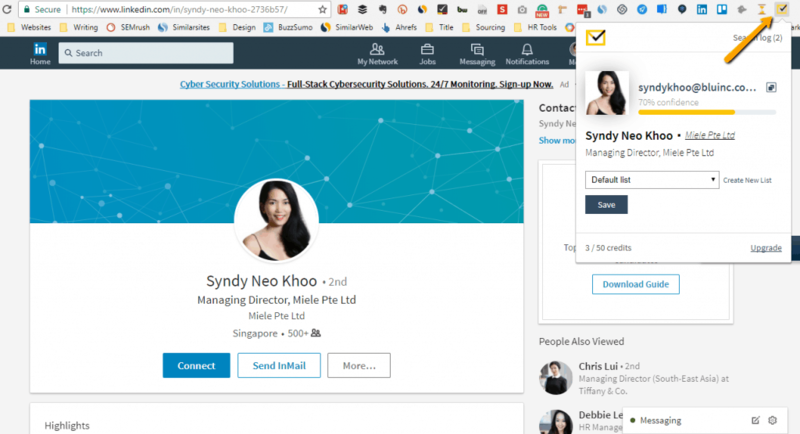 Over my years of research in this area, I came to discover a lot of tools that are available in the market to help users better navigate and optimize their use of LinkedIn. Many came about due to new restrictions imposed by LinkedIn as it continues to grow as a platform and a business. For instance, you won’t be able to see more than 100 search results on any search if you are using a free basic account. That is their way to force encourage you to upgrade to the paid version. But because you are reading this, you won’t need to pay all these silly money. Plus a cool way to remind yourself to follow up. Let’s head straight into the first tool. One fine summer’s day, Maebellyne was working as a contractor at a recruitment agency trying to find suitable candidates on LinkedIn, but was hindered by LinkedIn’s limit of one hundred results and only seeing 3rd-degree contacts. Being a ‘digital native’ (someone who doesn’t get out much), she realised that Google already had tens of millions of LinkedIn profiles available for free. She immediately got to work building clever boolean queries to find her candidates, with great success. This tool is a simple way to construct the very same boolean queries (and a few more), but with the benefit of a nice simple interface. Think of it as a search engine that let you search LinkedIn. And not just LinkedIn. You could even search within Google+, GitHub, Xing, StackOverflow and Twitter. It is incredibly easy to use. If you know how to google, you already know how to use RecruitEm. Before you begin, you would want to log out of LinkedIn for best results. You simply put in your criteria according to the different fields and hit the big orange button below. It will open up a window with a long URL string. Select Open In Google and it will lead you to a Google result page that you built with your search criteria. Look at the number of results. I have 6,350 versus a usual 100. You have so much more option. So with one of the first recruitment hacks, you manage to get your hand on a super long list to pick and choose from. But that doesn’t do you any good unless you start connecting with them. Given that these are really cold leads, you would want to connect with them via LinkedIn first. The problem is many recipients don’t even know you sent an invite. Most of us would use our personal email address when we set up a LinkedIn account. For some of us, we might add in our corporate email address but your personal email would probably remain your primary. So when you send an invite, it would be routed to the recipients personal email address. I have a good friend who has about 21,000 unread emails in his Gmail. If you sent him an invite, he would probably respond to you in 2025. And there are many people like him – they simply don’t really check their personal email unless they are anticipating something that they trigger, e.g. bought a plane ticket. A much better way is to email direct to their corporate email address instead. Which brings me to the next recruitment hack – Find That Email. Billed as the Yellow Pages of Email, you can easily find out the email addresses of an individual using this tool. It has been rated as one of the most accurate tools by Ahrefs with a 92% accuracy rate according to their test. To make it even easier to use, it comes with a Chrome plugin. With a click of a button, Find That Email will crawl the profile and provide its most accurate recommendation of the email address. 3. Have they read it yet? So you already got their attention by sending your LinkedIn invite straight to their corporate inbox. What’s next? Well, 2 things can happen here. Either way, you need to follow up with an email, with different content depending on the situation. The thing is you won’t know when your email would be read. If you decide to call and the email hasn’t been read, you have a missed opportunity. Not to mention the time wasted. 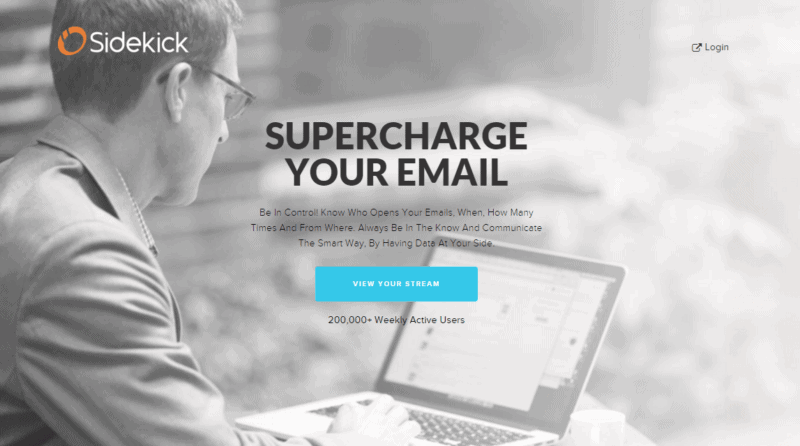 SideKick is a tool created by the people behind HubSpot. It let you know who opened your email and every single time they opened it again. It achieves this by inserting a pixel into your email. That pixel will be tracked if the email is opened and notify you immediately. 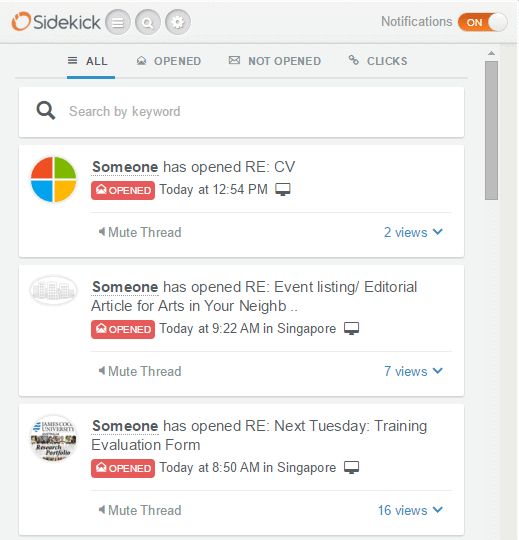 SideKick comes with a Chrome extension which makes it really easy to know when an email has been opened. Every time something came up, you can a notification via Chrome. If you are an Outlook user, Sidekick supports up to 2013 version. I’m personally on 2016 version, but it seems to be working fine too. With this information, you would be able to follow up more timely and ensure your prospect are well informed of your intent so the conversation could be more effective. What if your prospect didn’t respond to your first email, to begin with? Maybe he/she is too busy. Or the daily avalanche of emails has hidden your email somewhere below the pile. Just like any good social media strategy, you would want to send another email. And you want to send it at the right frequency without looking too annoying. Fortunately, there is a tool for that – FollowUpThen. FollowUpThen was built to solve a problem the creators had while working together on other projects – not responding to each other’s emails. They used it only internally for some time, making many improvements and then decided there could be others with similar problems. So you could bcc [email protected] and you would receive a reminder email 3 days later. Perfect time to take the next action step to reach out to your prospect. Recruitment can be overwhelming with the escalating attrition and increasing demand. Use these recruitment hacks to help you deal with these situations better without getting any closer to burn out. 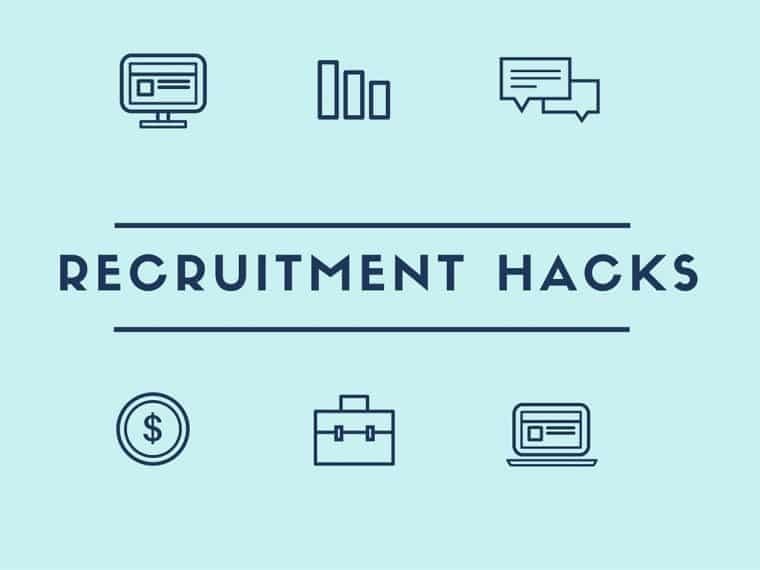 Question: Do you know of any other useful recruitment hacks? You can leave a comment by clicking here.